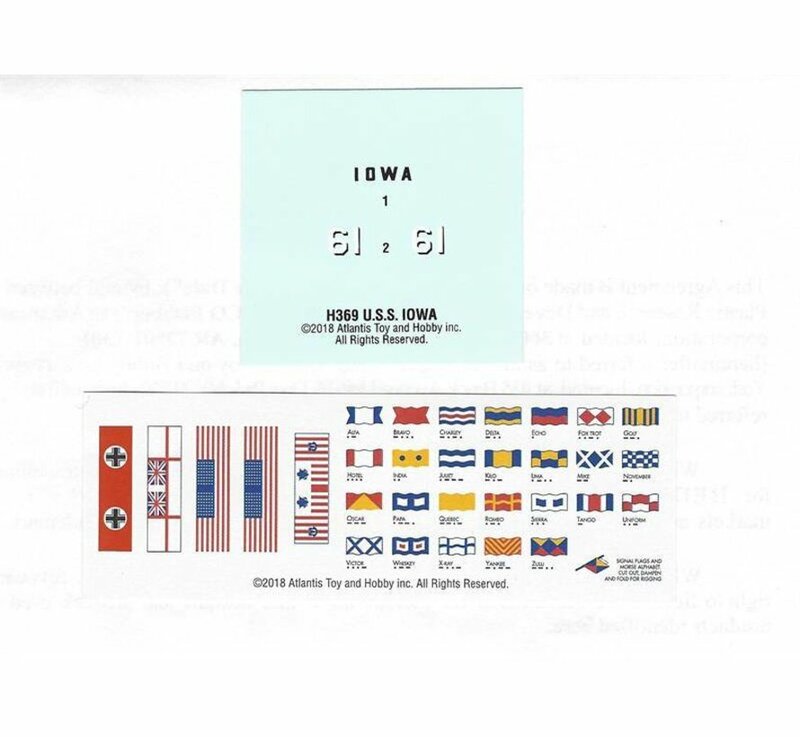 This is a 1/535 Scale USS Iowa Battleship formerly a revell kit. Measures over 20 inches with over 71 parts. 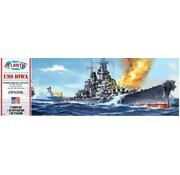 Includes 2 Sea Planes with Crane, Gun Turrets rotate, Barrels elevate. Artwork can be framed. 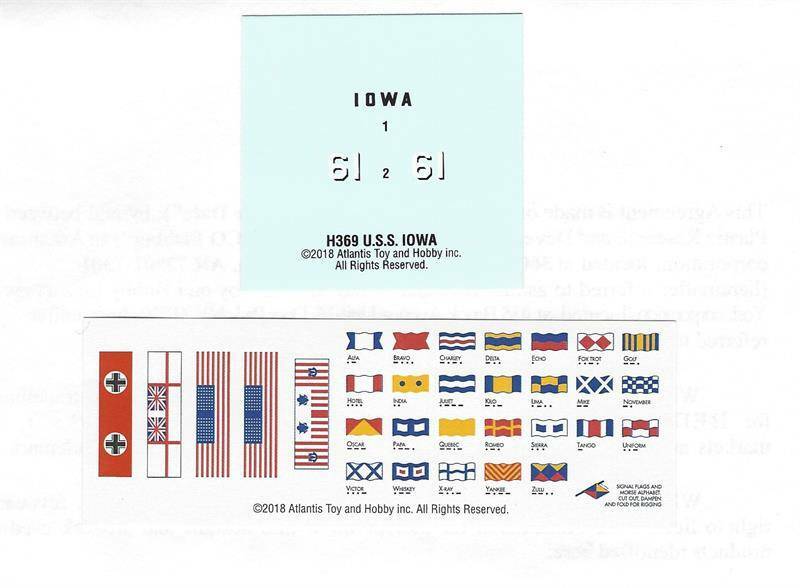 Includes accurate and updated Decals and separate Flag Sheet. Skill level 2 for Ages 10 and Up.